An interactive Children's Museum with exhibits galore. Perfect for Birthday Parties, school tours, field trips, and everyday play. 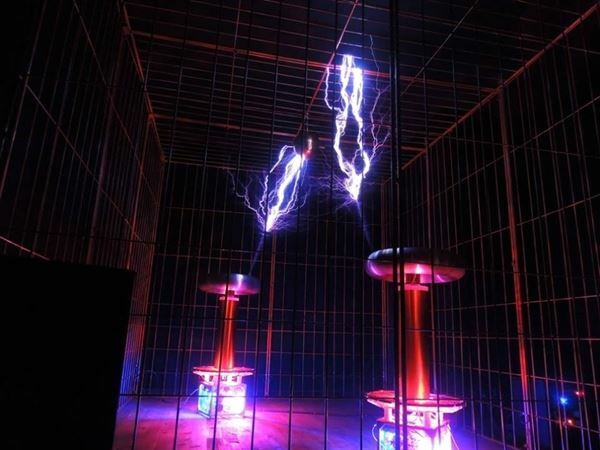 We offer a party room for private parties, and every Birthday party comes with a private viewing of our Tesla Show. For more information and pricing, contact the Texarkana Museums System. Personalized e-mail birthday invitations to 10 children of your choice from Discovery Place Children's Museum. Birthday room/space for one-hour time frame. Tables, chairs, and tablecloths. A private Tesla showing for the birthday child and guests. Unlimited use of Discovery Place Children's Museum for the entire party date. A FREE pass for your child's next visit. Our birthday parties are for the birthday child, 4 adults and 10 guests. Additional guests can be paid for at $5.00 per guest. The Standard Package is $125.00/ Deposit of $50.00. Please contact us and/or read over the Birthday Contract for complete terms & conditions.